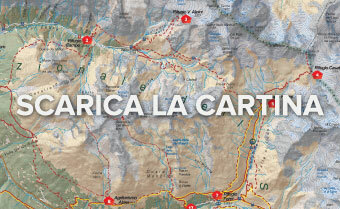 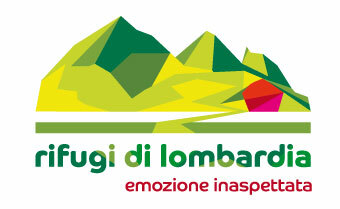 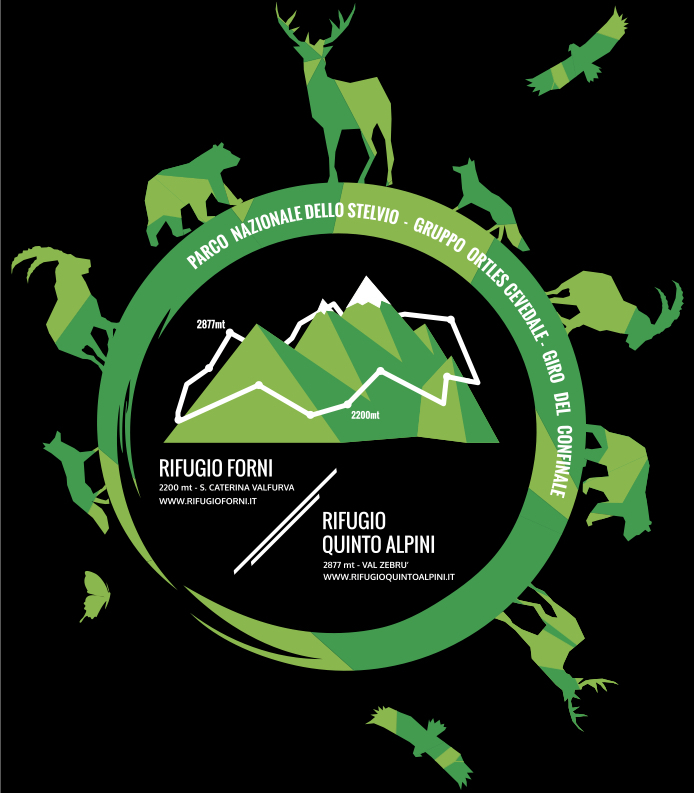 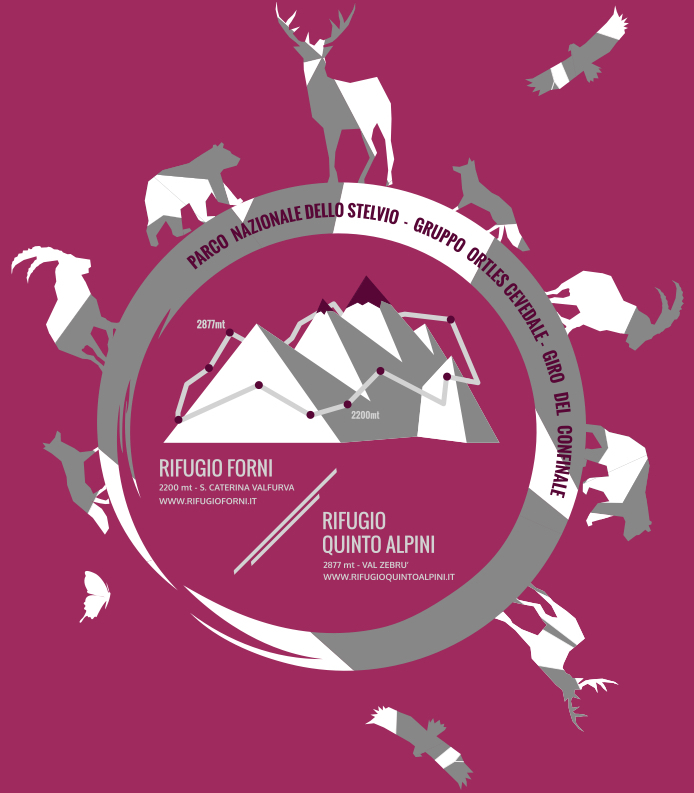 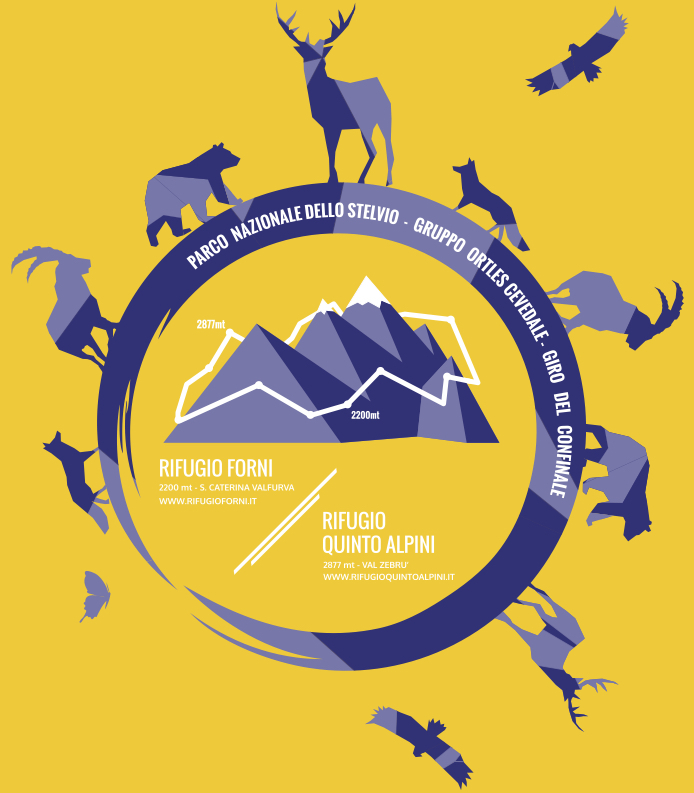 At Rifugio Forni and Rifugio Quinto Alpini you will find the t-shirts of the Confinale tour in 7 different colors. 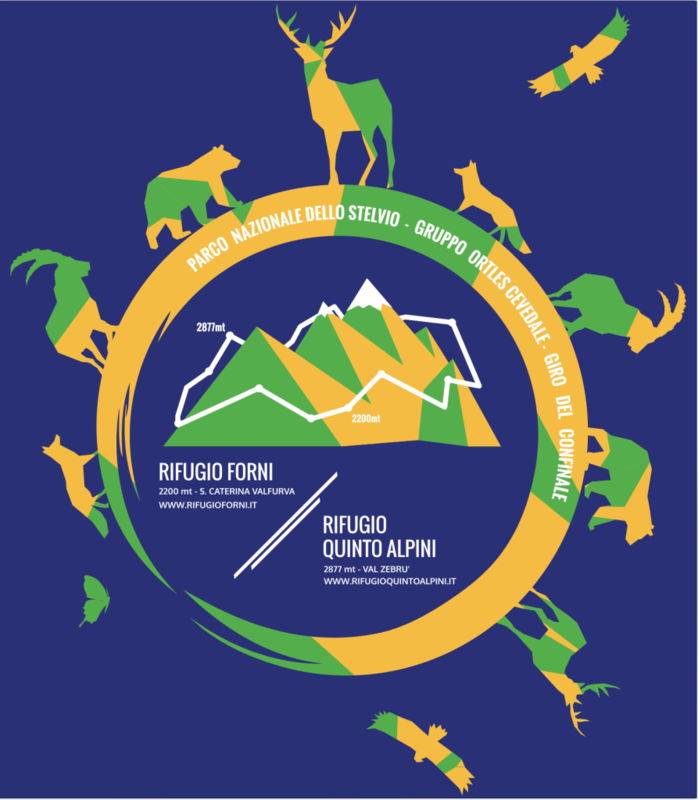 At Forni Hut and at Quinto Alpini Hut you find the T-shirts of the Confinale tour in 7 different colours. 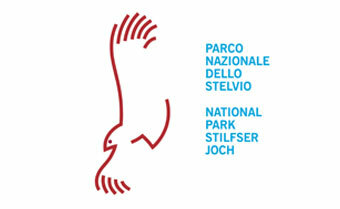 Women: sizes from XS to XL, narrow cut; men: from S to XXL; kids: three sizes (7-8 years | 9-11 years | 12-14 years).